This amazing home is situated on 25 acres of arable and fertile land. The property boasts a fabulous country residence and represents an exceptional lifestyle, not to mention smart buying. Complete with cattle yards and a large brick stable block, the property backs onto the picturesque banks of the Nepean River. Approx 20 minutes from Camden and 1 hour from Sydney, this location is on the fringe of an area set to boom. 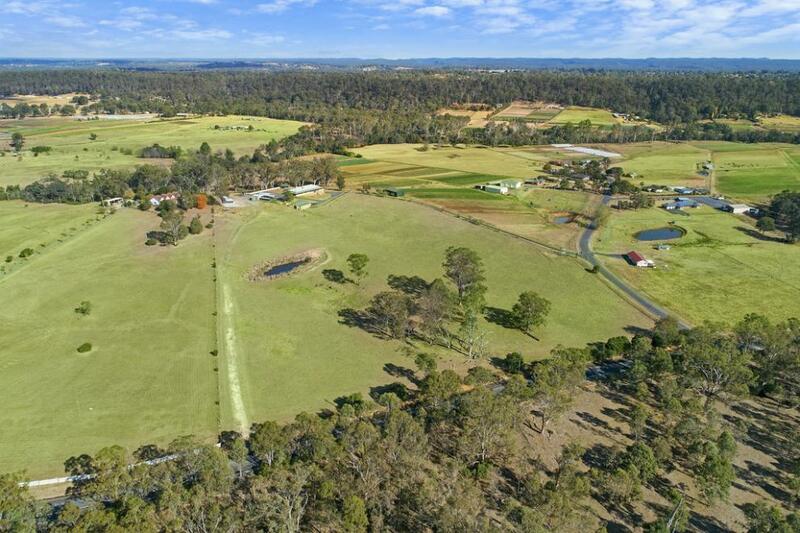 Badgerys Creek and the planned infrastructure and road upgrades make this property an amazing investment. The property is expansive and well appointed, providing comfortable family living whilst offering spaces for entertainment and retreat. Strategically positioned to take advantage of the mountain backdrop, the home combines modern technologies with all the trimmings to achieve a luxury rural lifestyle. A substantial and proven rental return exists on this property due to improvements and location.